Were the Founding Fathers concerned with US citizens being under audio surveillance? By late 1791, Congress had ratified the 4th Amendment, which, simply put, states that US citizens are protected from the government against unreasonable searches and seizures, and further that no warrants shall be issued without probable cause. But when the founding fathers wrote this amendment, did they have in mind audio surveillance or smartphones? Do you recall the 2008 film Eagle Eye, and the way in which the government’s supercomputer worked through anyone’s cell phone? That movie is not so far from reality. 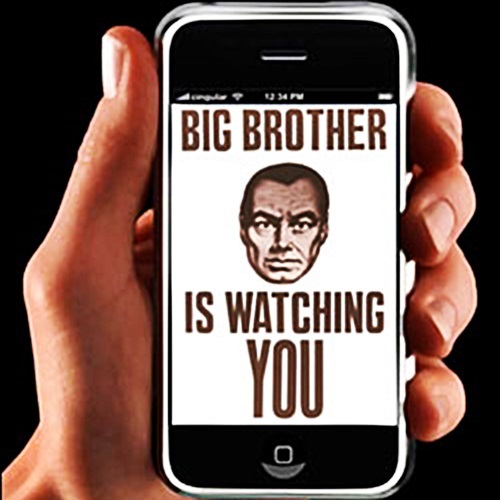 The truth is that the government can activate any smartphone microphone, even when it’s in your pocket, and eavesdrop on a conversation. In other words, there is the distinct possibility that if you own a smartphone you’re under audio surveillance. Although there are no statistics to suggest how often the government, FBI, or law enforcement listens in on our cell phones, it happens enough that there’s a term for it: roving bug. As everyday citizens, we all would like to hope that our 4th Amendment rights are not being violated, but we know this isn’t always the case. Title II of the Patriot Act of 2001 enabled the government to wiretap phones without first seeking a warrant. The goal of this, stated by the FBI and the federal government was to “reveal the patterns of US citizens”. This seems to be a clear violation of the 4th Amendment. These actions, therefore, potentially open up anyone within the United States to have audio evidence collected from their device which could then be enhanced and/or used against them. Attorneys should be asking themselves, then, would the evidence collected by a warrantless wiretap be admissible in court? The answer may be a shocking, “yes!” In regards to recording a private conversation in the state of California (which such an activity falls under the category of wiretapping) there exists a two-party notification clause. Meaning, both parties involved in the conversation (both the recorder and the one being recorded) must have knowledge of the recording. This is why many companies have the warning that states, “this call may be recorded…” Without the caller being informed, the recording is considered as having been obtained unlawfully. Nonetheless, NCAVF worked several cases where private conversations were secretly recorded without the knowledge of the recordees. In these cases, despite the recorders opening themselves up to potential criminal and/or civil punishment, the recordings were accepted into evidence in the court and used as part of the proceedings. Although it is unclear how one can protect himself from the government tapping our phones (aside from wearing aluminum foil hats), it is clear that everyone needs to be aware that being alone doesn’t necessarily mean we’re really alone anymore (if one has their phone with them that is). Incidents such as these may certainly arouse sentiments similar to what George Orwell thought of in his totalitarian future in 1984. But fortunately, we are not there yet. None the less, it is important for all people to be aware of what their government is doing in regards to audio surveillance and how it may affect us. What’s more, attorneys specifically should be keen on how this type of audio evidence may be used in court, both for or against their clients.